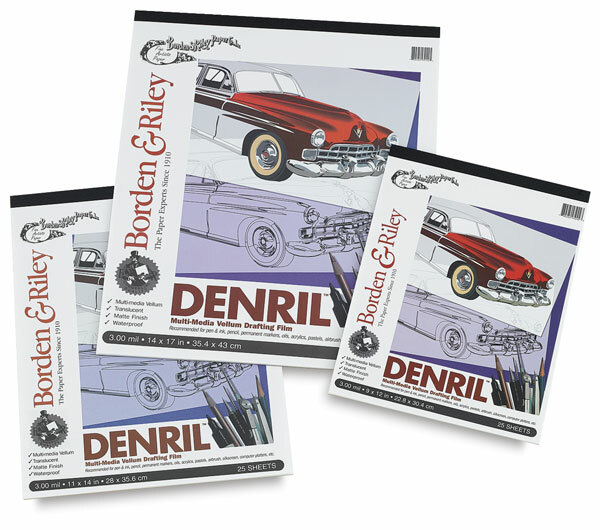 Denril pads from Borden & Riley are made with a versatile multi-media polypropylene material that combines the best properties of drafting film and paper. This paper features a very smooth, translucent, double-sided matte surface that accepts pencil, pen and ink, markers, and other dry media. Easily erasable, Denril does not discolor or crack. Tape-bound pads each contain 25 sheets of 51 lb paper. Pads are bound on the short side.